Our Farm Fresh Program was started back in 2012 as a way of partnering with organizations in our Delco community. Local schools, churches, mom’s groups, day cares, athletic organizations, are just some of the groups who have and are participating in the program. 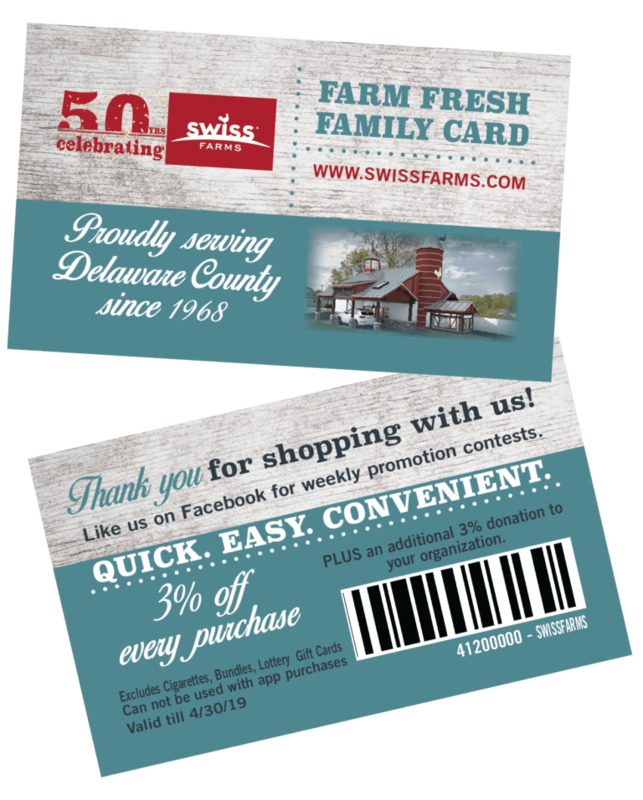 Just keep your Farm Fresh Card in your car, so you have it available when you stop by Swiss Farms, and hand it to your Swiss Farms Associate…be sure to get your card back to use over and over again! Click on the weekly circular to help you decide what to buy during your next trip. Your discount even applies to promotional items! *Note: Discounts and cash back do NOT apply to milk, lottery, cigarettes, tobacco items, bundles and gas.